Whatever your take is on RBG, it's clear that she's become a progressive icon. Now you can celebrate her with this action figure from FCTRY! 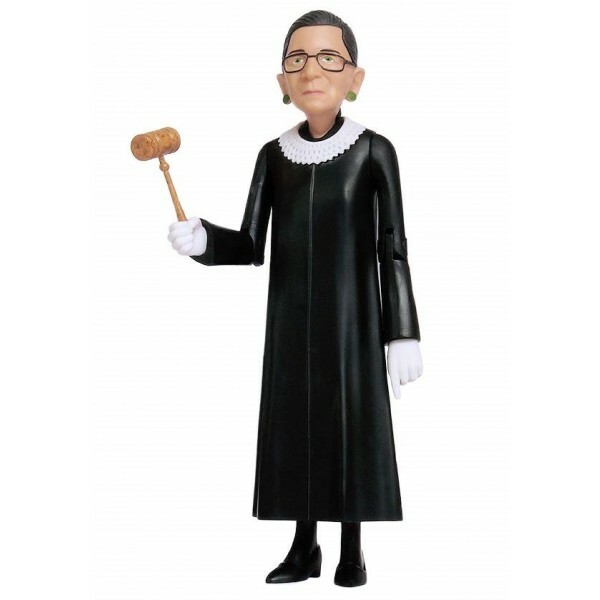 This 6" tall action figure is a perfect size for all uses; whether you want to keep RBG on your desk for all to see or bring her out on adventures. This action figure has articulated arms for posing. 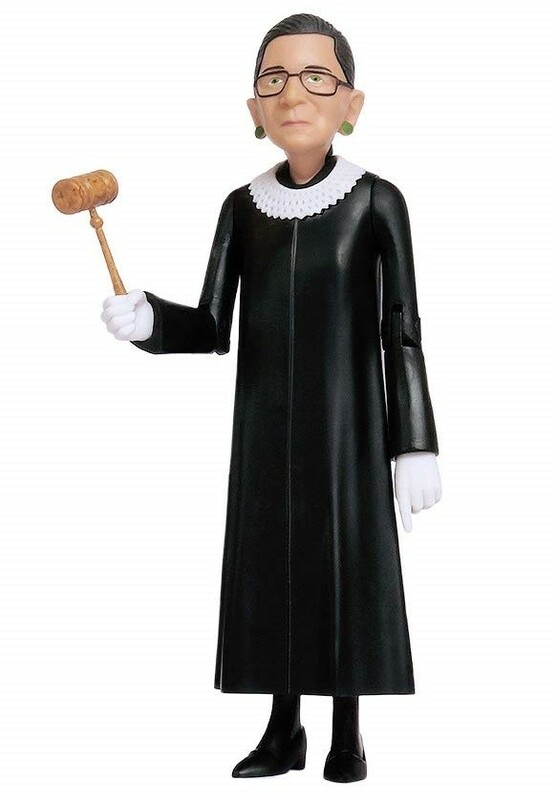 RBG comes dressed in her judicial robes and distinctive jabot collar, and has a removable gavel in her hand. The figure stands on any flat surface, and is designed with a box that can be opened and resealed, so you can decide how you prefer to display it. For more diverse and empowering figures, visit our Dolls / Action Figures Collection.